With Readly you can read Python Complete Manual and thousands of other magazines on your tablet and smartphone. Get access to all with just one subscription. New releases and back issues – all included. Getting started with a programming language can be tricky, knowing where to start and what to use and how to actually begin coding. 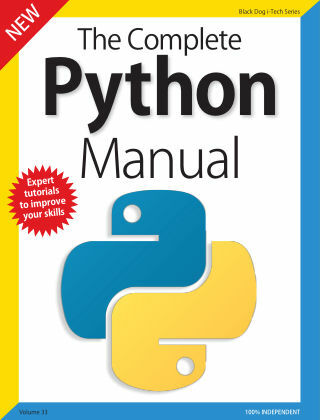 This is where The Python Manual comes in.Regardless of whether you’re a student, computer enthusiast or just curious as to how programming works, our tutorials will help you discover how Python works and how it can be used to interact with you and other users. What’s more, you’ll learn how to think like a computer programmer. 100% Unofficial.